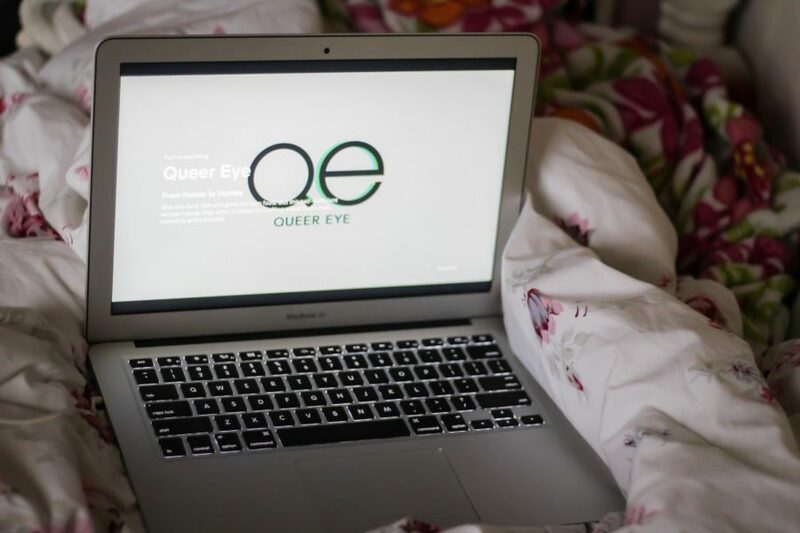 Student watches “Queer Eye” on March 24. 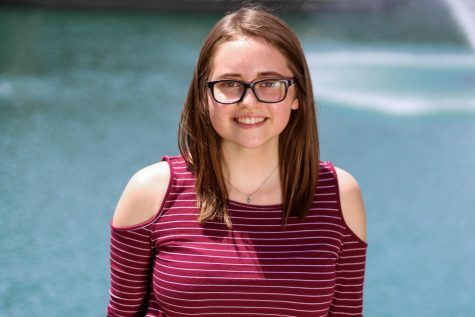 As you lay in bed and scroll through Netflix wondering what to watch, you may think to yourself “What else could I possibly watch on this site?” Finding a new show to watch may feel daunting with hundreds of options filling the screen (I definitely feel overwhelmed), but there are many hidden gems with plenty of content to watch. One of these “hidden gems” is “Queer Eye.” My mom who watched the original on cable, “Queer Eye for the Straight Guy”, back in 2003, introduced me to the reboot but I quickly found the new Netflix version to be right up my alley. “Queer Eye” is a show about five gay men – Bobby Berk, Karamo Brown, Tan France, Antoni Porosoki and Jonathan Van Ness (the Fab Five) – and their quest to improve the lives of the selected few who appear on their show. The third season premiered on March 15 and is arguably the best of the three seasons to air. The new season of “Queer Eye” has eight new episodes, but the same great dynamic between the Fab Five. What makes season three unique from the previous seasons is that it features the show’s first-ever lesbian, first duo couple and more woman makeovers than the two previous seasons combined. This season took longer to produce than expected because the Fab Five had to negotiate their salary regarding this season. Previously, they did not receive equal pay, ranging from $75,000 – $250,000. A lot of the projects in the previous two seasons came out of their own pockets. This season, all five stars are paid the same ($7,500 each per episode) and had a larger budget through sponsorships, by brands like IKEA and Lacoste, (estimated to be $500,000) to produce the show. The show has featured both gay men and a transgender man on episodes before, but featuring a lesbian was an important step for “Queer Eye.” Being centered around five members of the LGBTQ+ community, I was surprised that there haven’t been more episodes around it. Although the original “Queer Eye” was centered around straight men, the reboot has more inclusivity than most shows I’ve seen. Karamo’s job as the culture specialist inspired me the most because of the way he is able to connect to the guests and connect to the viewers who are watching. A lot of what he teaches the guests of the episode are easily applied to your own life. One episode a guest had issues with self-image. To combat this issue, Karamo had the guest list everything he disliked about himself on the mirror, and for every negative thing he wrote he had to write a positive thing. He has an amazing ability to help even the viewers in some way, whether it’s their self-confidence or helping them realize an important aspect of their life. Although I thoroughly enjoyed the season, I couldn’t help but feel disappointed at the lack of need for Antoni in some of the episodes. Since he specializes in food, having him around during episodes where the guests could cook wasn’t really helpful. He did contribute to one of my favorite moments of the season – when he took the Jones sisters to a bottling company so they could sell their father’s secret barbeque sauce. Even though Antoni didn’t play as large of a role in some of the episodes, Jonathan’s loud character definitely filled up the space and, as always, added the magic to the episodes. His eccentric personality and dramatic demeanor never fails to create hilarious and outlandish moments in the series. Every single episode this season had a tear-jerking moment from happy, watery eyes to full-blown sobbing. There’s a moment for everyone that hits right in the heart, from the tragic story of a grieving father after his wife passed from cancer, to the empowerment of a woman by other women after spending a lifetime surrounded by men. The final episode ended with a very memorable birth and proposal wrapped up into one episode (with an impromptu music video break), filling the hearts of everyone on screen and off. Overall, this season was well produced and contained more memorable episodes than the previous seasons. The flow and style of the show just keeps growing with the Fab Five and I know after seeing this season I’ll have a bowl of popcorn ready to binge the next season in one night.